What is due diligence is and why it is performed? How is a due diligence plan constructed and who most often executes the plan? How long can the process take from first meet to investment? Diligence is often described in Stages, what are the major stages in the process? There are categories of information that investors are looking at, can you walk us through the major categories? How much time and what level of detail is appropriate? Do VCs often try to quantify the diligence checklist or is it more of a qualitative assessment? What are some of the main reasons that deals are rejected during diligence? Why is it imperative for early-stage investors to understand due diligence and execute it well? Screening: Immediately when a startup comes in the door, the diligence process begins with the initial screen. And Imran mentioned that in the case of his firm, OCA, they will hold investment committee to make a decision on proceeding before intensive, costly diligence is kicked off. So a unanimous decision is required to proceed with deep due diligence. As Imran articulated, this is an entrepreneurs game and investors exist to try and help the entrepreneurs grow and make their business successful. If you fail to coordinate with others in the diligence process and make the same requests that have already been delivered from the entrepreneur than you are only hurting the startup and impeding their progress. Imran mentioned that one of his standard background reference check questions is “what can the CEO learn, what can he do better and where can you hire around that CEO to address areas that are not a strength? There are Characteristics like work ethic, commitment, coachability, resiliance, intelligence, resourcefullness… that may be unlikely to change. But there are also a number of things that are either learnable or can be supplemented by hiring… like sales expertise, technological aptitude, market or customer knowledge. As he explained today, it can be very useful to assess strengths, weaknesses and general characteristics to inform investment and team makeup decisions. Tip of the Week: Due Diligence: Benefit or Burden? Nick: Joining us on the program is Imran Ahmad. Imran has over 10 years experience financing, investing, and founding early stage technology and middle-market companies. And he’s currently a principal at OCA ventures. I feel fortunate to have him on as a guest today because he has founded multiple startups, he’s worked for a large tech company, and he has now transitioned into the financing side of the table. Imran, thanks so much for joining me today. Imran: Thank you for having me. Nick: So Imran, I’m excited to hear you walk through your story. Can you start us off with your background and how you became involved in venture investing? Imran: Yeah, sure. I’d say my path to venture capital has been a little bit winding. I started off my career as an investment banker coming out of undergrad. Shortly thereafter joined the private equity world. So started a little bit on the buy side. I was doing lower middle-market deals for the most part before I really got the itch to enter the startup world. I had always been that kind-of guy who read TechCrunch every single day and PandoDaily, but I quit my job in private equity pretty quickly and started my own healthcare IT company. Built that out to about 14 hospitals on the East Coast before eventually exiting to a team out of Johns Hopkins University, came back to Chicago, started another company called Mouse House which ended up doing well – if you’re familiar with the New Venture Challenge at Chicago Booth – and continues to progress and grow. And then started at OCA ventures very shortly thereafter, realizing that I had that passion for the early stage company, knowing that it’s really a bad idea to get into venture if you don’t have that startup experience in the first place – because you really need to empathize with the entrepreneur – and then taking that skillset, if you will, to the venture world and starting to invest in companies. Nick: So did you transition Mouse House then when you joined OCA? Imran: Yeah, that was my best Jack Dorsey impression. But over a period of time we raised seed funding for the business and I started to transition myself out slowly. I’m still on the board of the company and involved as much as I can be. But realized that you got to pick one or the other, and at this point in time I think venture’s the path for me. Nick: Always amazes how many balls entrepreneurs can keep in the air. But today’s topic is due diligence, and I wanted to start out at a high level and then do a deep-dive into the topic as it’s key for those in the venture space to understand well. So can you first explain to the audience what due diligence is and why it is performed? Imran: Yeah, no problem. So due diligence, at the end of the day, is a way for venture investors or investors in general to vet what the entrepreneur is saying and make sure that what the entrepreneur told you in all of those prior meetings is true. So it really starts when an entrepreneur comes into that door for the first time for a pitch, and you are making sure that you’re vetting how the management team is. Are they doing the things that a management team are supposed to do? Are they dynamic? Can they sell? That’s all part of the due diligence process and then it gets more and more granular every step of the process. So as you proceed down the path to investment, then you start to get into a little bit more of the granularity, looking at the financials, making sure that the pipeline numbers are tick and tying. And then, at the end of the day, legal diligence, which I think is one of the big behemoths in deal killers. Nick: Good deal. Yeah, I want to touch on some of these categories as we progress through the questions here. But how is a due diligence plan constructed and who most often executes the plan? Imran: So diligence is pretty essential in court to getting any deal done and across the table. You can like an idea, you can like a concept, you can like an entrepreneur, but at the end of the day, making sure that everything is copacetic is one of the hardest parts. So typically, the person leading the deal should also be leading the due diligence front for the company. That means crafting obviously all the questions, but pulling in the resources that are necessary to get the diligence done. I would not recommend an individual just doing all the diligence on their own. They should probably bring in a lawyer for the legal due diligence, ideally someone who’s respected and has done startup diligence before in the past. They should have an IP attorney if there’s patents involved and if there’s things like that that they have to keep track of and make sure that they’re fulfilling what the entrepreneur has said. But at the end of the day you should also have a product person. You should also have a technical person. And so the diligence process is really making sure that you can coordinate all these different bodies of people. It’s kind-of like a general contractor working with a lot of sub-contractors. General contractor is there to do a job but he focuses a lot of his time and effort, making sure that the sub-contractors are doing their work, and then aggregating it all together, making sure that the final product is okay. Nick: Yeah, I recall when we were doing acquisitions with my previous employer. For a lack of a better analogy, the often referred to me as quarterback. And then you had your technology guy, your finance guy, your market guy sort-of walking through all of those diligence steps. Sounds like it’s so much similar in the venture space. Imran: Yeah, it’s very, very similar, I’d say, because of the various stages of businesses. I mean venture can encapsulate two guys and a computer and couple hundred-people company that’s growing very robustly. And so depending on the stage of the business you’re going to have different diligence protocols. At that early, early stage you don’t really have revenue. You don’t really need to do as much in-depth looking at some of the financials. And so from that perspective you really have to be more judicious with your time. And you see that especially in term sheets. In most term sheets you’ll see some sort of allocation or dollars attributed to due diligence. For a small early, early stage deal that can be $2000 for diligence fees. For a more robust growing business where the check size put to work is a couple million dollars, that diligence fee can be $20 000, $30 000. And it really depends on what you’re trying to do and how much detail you really want to get into. Nick: So it sounds like for a pre-revenue, pre-product-market fit, early stage seed company, there’s going to be less activities on that diligence list. Imran: Yeah, there’s definitely less activities on the diligence list and you’re expected to make your decision a lot faster. I think the road-bump that a lot of angel groups sometimes get into is because they have quarterly angel group meet-ups or things that are a little bit more sporadic in nature. Companies get turned off a bit, because you can’t make that decision fast enough. And for a seed early stage company, hemorrhaging cash for the three month period of time that it takes you to make that decision can be a killer. And you really need to be able to move quickly on that diligence run and make the decision. Nick: Yeah. While we don’t necessarily advocate just following the crowd, I have found a lot of the great opportunities for investment in town are not going to wait around for six to twelve months for an angel group to give them a decision. Imran: Yeah, exactly. And we see that all the time. Competitive deals, good deals that come to you move quickly. And if you can’t move quickly you’re going to be left out. Nick: Alright, so good segue. Imran, how long does this process take from the first meet to investment? Imran: So it varies, and I think we touched on it a little bit. But if you’re a seed stage business – and for OCA we have what’s called OCA EDGE which is our C investment platform – we’ll put anywhere between $50 000 to $400 000 to work in a seed company. In those processes we typically like to spend two, maybe three weeks of diligence time probably at most. And that includes legal diligence. That includes getting definitive docs in the mix. So that can move very, very quickly. When we’re writing bigger check sizes – so the $1 million to $4 million, which is really our bread and butter at the end of the day, that series A check – that can be a little bit of a longer process. And longer means six to eight weeks at the very, very most is acceptable, but you try to shorten it as much as you can whenever you can. But don’t be surprised if it lasts six weeks and you’re still getting to that legal stage because there’s a lot more negotiation around the fringes that needs to take place, especially when it comes to docs. Nick: So assuming that you guys are the deal lead, and you in particular are coordinating and quarterbacking that process, is it on you to sort-of expedite that and get it through in a timely manner? Imran: Yeah, it’s definitely, I think, the investor’s impetus, but the entrepreneur has a lot to say in this process as well. It really, really helps if the entrepreneur is organized, has their stuff and all their ducks in a row when it comes to diligence. I really recommend that entrepreneurs use something called Onehub which is a great diligence data-room platform. Do not use Merrill, necessarily. It can be a little bit expensive, especially for early stage companies. And then as you proceed, some people use Dropbox, etc. But making sure that you have all the files that you need organized in a given place so that everyone can access it when they can and when they need to, so all the entrepreneur has to do is essentially invite a new person to enter their Dropbox or their Onehub data site. That makes the process a lot easier. But from the quarterback’s perspective it usually relies on the venture investor or the seed stage investor who is guiding the process, making sure that everyone is on board. But both parties really need to work together because there’s attorneys for the entrepreneur, there’s attorneys for the investor, and both parties need to talk to each other throughout that process. Nick: Yeah, I know. I’m a part of an angel group and we use Gust to help information share and get this diligence process done. The deals that I’m a part of just with angels that are not organized in a group, that can be a very difficult process with a lot of back-and-forth emails. So your suggestion to get on a platform is well noted. So Imran, diligence is often described in stages. What are the major stages in the process? Imran: So this is a good question, and I think it again starts with stage number 1 which is probably the screening stage. So immediately when you come in the door or when an entrepreneur comes in the door, that is the start of diligence. It’s not in-depth. It’s not making sure that every number ticks and ties, but you’re gaging the management team. You’re gaging what they tell you. After you get through that screening process you go to what I’ll call business due diligence. And business due diligence is making sure that you’ve got a good sense of the business model, you have a sense for customers, you have a sense for what their product pipeline is going to look at, and you can get very comfortable with the ins and outs of the business. And then that third stage which I’ll call the final stage is probably legal diligence. And legal diligence encapsulates IP diligence, it encapsulates getting all the docs done, it encapsulates making sure that your stockholder certificates are in order. We’re talking very, very basic things such as governance, and you know, if you have a preferred class of share that you haven’t really notified the venture investor or the angel investor of in the past, that can be problematic when it comes to that legal diligence stage. So those are the three main buckets, I would say. And then within each bucket you get really down and dirty into a bunch of different product categories. Imran: Yeah, but it’s something you see more often in some of these early stage companies where it’s a first time entrepreneur and they haven’t really had that much experience, and they’ve done a lot of funky structuring with their partnership agreements, and it could be a business school student who is just over-ambitious and wants all the voting rights in his hand and the power in his hand at the beginning. So you see a lot of funny business, and most of these things can be overcome in the deal but some things end up being deal killers. Nick: Yeah, we’ll have to do an episode here in the future on sort-of construction of the cap table and things to look out for early on. So we touched on this before, but how much time and what level of detail is appropriate? Imran: This varies, and I think it’s again very dependent on the stage of the deal and who is leading the deal. If you’re not leading the deal and you’re relying and piggybacking off of a lead investor, so let’s say for example you’re an angel investor, most of the diligence is being done by an institutional VC, it really is a burden on the entrepreneur if you’re constantly going back and asking that same set of questions. So I really recommend for angels, smaller VC’s who are working with some of these larger VC’s on some of these syndicates, try to coordinate efforts and work together. If you know you’re going to be on that same term sheet, then it makes the entrepreneur’s life a lot easier if you work together. And at the end of the day you have to understand that this is an entrepreneur’s game and you are here to support the entrepreneur and help them grow their business to whatever extent they can. And if they’re spending hours upon hours focusing on your diligence request that they already fulfilled for somebody else, that’s taking away from valuable time that they could be spending on the business. Nick: And do you find that the list of diligence items and the checks are often similar between venture firms? 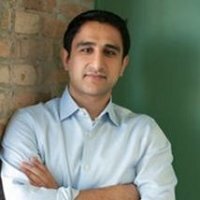 Imran: Yeah, I’d say it’s very, very rare for a venture firm to ask a totally unique off-the-wall question. There may be one or two questions that come off that maybe another firm did not ask, but at the end of the day everyone’s trying to get at the same pieces of information and coordinating efforts makes a big, big difference. Nick: Good. Well, we’ll make sure to include an attachment of standard diligence procedures and checklists in the show-notes. So Imran, do VC’s often try to quantify the diligence checklist or is it more of a qualitative assessment? Imran: So quantifying the diligence checklist is a little bit hard, especially when you’re taking about making an assessment on the management team. I mean, it’s very tough to put a number, you know one through ten, about “Is this management team incredibly qualified or not as qualified,” because everyone has different opinions. And you’ll see, we go to investment committee, and every single person on the investment committee has a different opinion about the entrepreneur, about the merits of the deal. And so putting numbers to it is difficult. That being said, I know some larger funds do do that, and it really depends on how many partners are sitting around the table. There’s some very large West Coast Valley firms where I know every partner has a scorecard in front of them, and they take that scorecard and they’ll put a number, one through ten, about every aspect of the deal. And if the deal has an average above seven or above eight, then the deal gets done. If it doesn’t, the deal doesn’t get done. So different firms have different approaches. I’d say we are more qualitative in that respect. We’ll look at all the dynamics of the deal, but when you get to the diligence process, there’s a very good chance that you already like the deal. And diligence is a way of vetting whether or not the deal gets done and making sure that everything ticks and ties. And if an entrepreneur said they had $500 000 from MRR and you find out through financial diligence that they only had $200 000 of MRR, that can derail a deal. But to the extent that the entrepreneur is telling the truth and didn’t make any huge gaffes as they were preparing their information, venture capitalists like to get the deals done when they go through intensive diligence processes, because it costs money. And when you’re investing time and when you’re investing money in a process, you already have an incentive to make sure that that goes through. And you really are going to do the deal unless something puts it off the rails. Imran: Monthly recurring revenue, mostly for software as a service businesses, it’s a metric that people tend to reference. Nick: And so you mentioned that, you know, you guys will do this qualitative assessment. When you get done with the diligence process, assuming you’re running it, you’re coordinating it, do you come an investment meeting, do you tell them that there were no red flags, and then do you make a recommendation? Imran: Yes. So the process for our firm is, we have investment committee before we really will get into in-depth diligence. We’ll do a lot of preliminary diligence. We’ll make sure we’ve got reference calls. We’ll make sure that we’ve done our talk with the industry expert in the space, and then we take it to investment committee. At investment committee we are a unanimous decision fund, so all of the people around the table have to agree in order to do a deal. So it takes a lot of convincing. There’s a lot of back and forth, there’s questions that get asked, and at the end of the day the diligence process will get kicked off in earnest, meaning a lot more money and a lot more effort will be put to work, especially on the legal side, after the investment committee makes that initial decision whether to move forward on the deal or not. Nick: So what are some of the main reasons that deals are rejected during diligence? Imran: So deals can be rejected for any number of things, but I’d say misrepresentation of facts is one aspect of it. And you’ll see that it’s not always malicious intent as to why an entrepreneur has a misrepresentation of facts. Sometimes it’s just, they didn’t know and they showed information one way and you like it to see it another way. So that aspect of it is tough, but it’s one thing that sometimes can derail a deal. I’d say legal issues can be a big issue, meaning how did they structure their deal initially, how did they structure their operating agreement, other co-founder issues that you have to be aware of and then certain of, and then on that note, background checks and references, because I have seen several deals where we’ll go through a process and it will be a long process, but once you get to that background check stage or you’re doing reference calls, you’ll hear some unsavory stories about the entrepreneur or you’ll hear some unsavory things that relate to fraud, etc. that you do not necessarily want to be a part of. And so all of those things can derail a process, but I’d say usually when you get to some of these further stages of diligence, most of that preliminary information has already been taken care of and accounted for and it really centers around legal and finance. And financial issues can be off-putting, especially when it’s, an entrepreneurs dad lend the company $200 000 and it’s on the balance sheet, and part of the use of proceeds is going to pay off the father. So some of those types of issues do come up, but you hope they don’t. Nick: Let’s assume you’re evaluating a startup, great market, great founder, great potential for the business, and there’s some things that come out of the qualitative diligence assessment that are concerning but not these major red flags that would immediately disqualify. How do you balance the desire to invest in a great opportunity with some concerning factors but not overwhelming concerns? Imran: So I’d say every deal has a little hair on it, and the hair can be a good thing it because it can keep other people from being in the deal and it can keep other people from investing. And so from a competitive aspect for venture funds, some funds focus on hairy deals, things that other people wouldn’t touch. At the end of the day, balancing those concerns that sometimes pop up is part of the deal dynamics. And venture and early stage investing is by nature a very risky business. It’s not an asset class for the faint of heart and the risk of failure is high, and so you’re always going to have some things that pop up in diligence or in pre-diligence. There are going to be concerns and things that you should be careful of and just monitor. But that’s part of being an active early stage investor. You’re finding those weaknesses of the entrepreneur, you’re finding the weaknesses of the business model, and you’re spending time to fortify those. You’re making sure that you’re getting and recruiting the right team members to help buttress what the entrepreneur is lacking. So those types of things I think are part of the game and par for the course. Nick: This is a great point. So it sounds like if you identify concern areas or weakness areas, then you use that going forward to make sure that you’re addressing those in the right way so that they don’t counteract the potential for success. Imran: Definitely. One of my standard background reference check questions is, “What can the CEO learn and what can he do better?” and more importantly, “Where should I hire around that CEO?” Is the CEO a good salesperson? Sometimes they are, sometimes they’re not. Is the CEO a great technical person? Sometimes they are, sometimes they’re not. And making sure that even if the reference check doesn’t outright say, “Yeah, my CEO has terrible technical skills,” being able to identify and sort through a lot of those issues is really a big part of the job of an investor, and making sure that you help these companies. There’s passive investing and there’s active investing. I definitely lean on the side of active investing because, at the end of the day, you can make a difference and instead of a company going from zero to ten in a year, that company can go from zero to $20 million in a year. And it makes a much, much bigger difference on multiple. Nick: I think it’s a good lesson for entrepreneurs. If you have weaknesses, it’s not that you can’t get venture capital. It’s that they’re going to help you address those weaknesses and make sure that you’re putting your best foot forward as you move on through the Series A and the later growth and scaling phases. Imran: Definitely. Technical co-founders or technical founders sometimes have this issue a little bit more than some of the non-technical founders because, for technical founders, it’s their baby. They have created the software or the product and they’ve already started that commercialization phase. And for them to let go of some of the business sides of the business is difficult. Imran: Some technical founders can make that jump. Others cannot. And so knowing that maybe your weakness, being able to understand that and work with your venture capitalist to find somebody who can help propel this business in the future can be the difference between a goose egg, which is a zero, or a company that’s, you know, moderately successful versus a company that’s hugely successful. Nick: So why is it imperative for early stage investors to understand due diligence and execute it well? Imran: Early stage investors really need to get a sense for diligence processes because it is how you protect yourself in this game. There are a lot of companies running around. There are a lot of entrepreneurs who have great intentions. There are some people who may not have great intentions. But everyone is out there looking for capital, and capital can be abundant at times. And so for the early stage investor you really need to make sure that, at least from a ground-level basics perspective, you’re CYA – you’re covering yourself and making sure that you aren’t going to get hit with something that derails the deal very quickly that could have been avoidable. And understanding those basics is important because, again, venture investing is risky by nature. But the more variables that you can sort-of take out of the equation, the better your investment odds will be. And when you’re creating a portfolio of investments, which most people are doing when they’re on the venture side, making sure that your risk-adjusted return on an aggregate level is improved – lot of that can be knocked out from diligence – and making sure that you’re doing the appropriate diligence and checking some of the basics like financials, like legal, will really juice your returns at the end of the day. Nick: Yeah, we’ve talked with a number of guests on the podcast about how this is an industry of dodging bullets, and I like what you’ve described today because it’s that, but then it’s also an industry of looking out for weaknesses and helping address those, not just the dodging bullets and disqualifying red-flag process. Nick: Alright, let’s transition a little bit here. Imran, what are you currently most focused on? Imran: I’m a big fan of the Internet of Things. I think a lot of people are. By nature, it’s when every device and standard hardware piece that you can think of is start to connect to the Internet, and you’re able to track all of this information. It’s going to change people’s lives, and it’s going to change people’s lives for the better. That being said, you’re not just focused on investing in the hardware. We have. We are investors in a company called SwipeSense which is monitoring hand sanitization in hospitals. But at the end of the day, also being able to ingest huge amounts of data that are coming out of all of these devices, and making sure that you have some meaningful input on that data and you’re being able to make meaningful decisions based upon that data. And I think the Internet of Things is really going to enable that aspect. So in addition to the traditional consumer hardware-type plays – your Fitbit or SwipeSense – there’s aspects of aggregating all of that data and making sure it’s meaningful and useful and is guiding our decisions. Nick: You know, I’ve been really intrigued by OCA EDGE. Can you tell us just a little bit more about the program and its focus? Imran: Sure. So OCA EDGE is, again, our seed investment vehicle. Typically deals for OCA are between $1 million and $4 million, but EDGE allows us to really get a sense for these early stage deals. So we can put $50 000 to $400 000 to work. Now, at the end of the day, we are not taking board seats on these companies. It’s a way for us to find very high quality early stage companies that maybe aren’t quite there yet, aren’t quite raising that $5 million round and are on that sort-of angel path raising $1 million to $1.5 million small seed round, but [00:28:24.21], it gives us a sense to track that entrepreneur over time and to lead that big round for the entrepreneur. So they’ve already got institutional backers when they’re going out for the Series A. And it’s been an incredibly successful product for us. We can take deals that are coming directly out of accelerators and incubators like Techstars Chicago or Y Combinator, and these are companies that are sort-of in that, well call it no-man’s-land, where every institutional investor that you typically go to is saying, “Well, you’re too early. Go get some angel money.” And it’s very hard to identify the appropriate angels sometimes in the space. 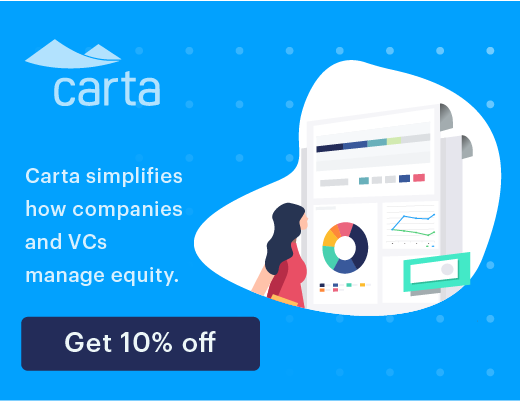 OCA EDGE allows you to get an institutional backer, will help you fill out the rounds a lot of times to get to the $1 million threshold, and will be there when you’re out there raising your Series A and your Series B and your Series C. It really helps to have that institutional backing early on. Nick: I hear a lot of venture investors talk about team, market, and technology or product when they’re evaluating early stage companies. Nick: Does that balance between those things change as you’re focused on the OCA EDGE versus more of your traditional A deals? Imran: It definitely does because EDGE companies don’t necessarily have as much of that product market fit delineated. And so what we look for in EDGE deals is a bunch of technical founders, at the end of the day, who can adapt. And the world is such that we can draw demand curves. I can change price points for a SaSS product every single day for a 30 day period, and draw up my demand curve. And because we’re able to leverage all this technology that’s out there, that’s the type of entrepreneur that we look for in EDGE deals. So we’re much more focused on the management team. You have to show that you’ve got that product out there in the market that, people are starting to adopt it, but EDGE is really to provide some of that jet fuel so you can experiment. So you can test different marketing approaches. Nick: If we could cover any topic in venture investing, what topic do you think should be addressed and who would you like to hear speak on it? Imran: Ooh, this is a good question. So, I’m a big, big fan of Bill Gurley who writes a blog about the crowd. So if I was to hear anyone, I would love to hear Bill Gurley speak, particularly about his two-sided marketplace. And he has been all over the place with GrubHub, OpenTable, and now most recently, Uber. And his ability to identify these companies is incredible, and he’s got the Midas touch. It would be a huge honor to hear him talk about how he’s identifying these companies, what he’s looking for. And I think it’s a tough space to deal in. Anytime you’re dealing with a two-sided market, you are going to face a lot of things that are difficult to necessarily gauge. Word-of-mouth is a very difficult metric to gauge, but he’s been able to do it. So that would be a fun one. Nick: So tough to evaluate the two-sided markets because there’s just a lot more opportunity, a lot more risk for, you know, things not to work out. Imran: But if the work out, they could become Uber. Nick: Great that you suggest Bill. You know, we had Troy Henikoff on the program, and he also suggested Bill, but wanted to hear him talk about sort-of burn rates and the current venture environment – a lot of frothy deals out there. Imran: Yeah, there’s a lot of discussion on the increased burn rates, and I think PitchBook came out with a study pretty recently that showed that, in fact, burn rates were increasing pretty dramatically and it’s something that companies, especially on that early stage, need to be aware of. I think Mark Suster had a very nice blog post on how it’s okay if you’re burning a lot of cash if you’ve got the metrics pointing in the right direction and if you’re making… for every dollar you burn you’re generating three dollars in income, basically. But for a lot of companies at the early stage who don’t have that proven out and you’re buying or you’re renting a very beautiful new office space with a five year lease, that’s something you need to be a little bit more conscious of. Nick: Not the traditional bootstrapping startup model, is it? Nick: Yeah, I saw that conversation going around with Danielle Morrill of Mattermark and Mark and a number of other folks, but yeah, we’ll have to address that at some point. So Imran, what’s the best way for listeners to connect with you? Imran: The best way to connect with me is probably via Twitter. My Twitter handle is @imrahmad and you can connect with me on LinedkIn. Nick: Excellent. All of Imran’s contact information will be in the show-notes. Thank you so much for being here and for giving us this great detail on due diligence. I’m sure the audience is really going to enjoy it. Imran: Great. Thanks for having me. Previous PostDue Diligence: Burden or Benefit?